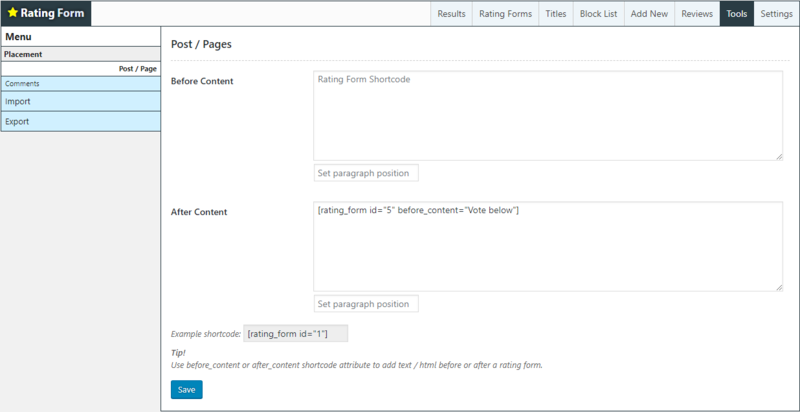 Create or easily customize Rating Form(s). Edit live colors, sizes, texts and more. Highest rated WordPress rating plugin on CodeCanyon! Manage and adjust settings and styles. 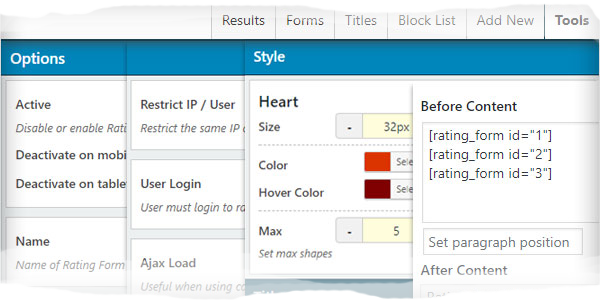 Adjust colors, sizes, alignment, tooltips, switch between forms and more! Easily display rating result formatted in microdata, JSON-LD or custom data in search engines. Translate with WMPL or self using .pot template. Display top ratings, rating form, statistics and more! 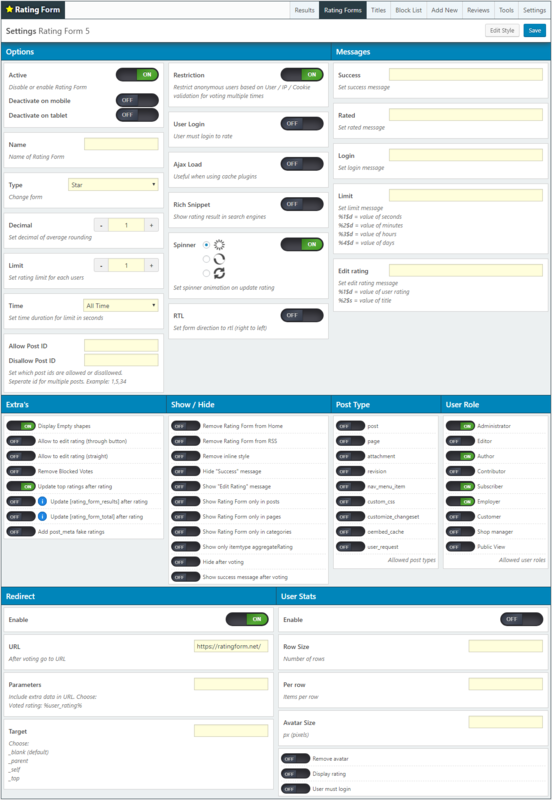 Plugin has many useful options and still extending! Compatible with popular plugins such as myCRED, EDD, WooCommerce and bbPress. Primary goal is to provide best support as possible. Widget: display top ratings results with lots of options! Use in custom (post) types! Useful shortcode options / attributes!